"What a awesome job, really pleased with the outcome and was well worth the wait to have it done by Kevin Young would definitely recommend him." "Cannot recommend this guy enough . Top bloke can be trusted to work alone in the house, very clean and tidy no mess whatsoever. All his work was carried out to the highest standards. Thanks Kev your the best!!" "We were in a right old mess with our wet room, was struggling to find someone who would commit to ripping it out and re laying it. Along came Kev! Great enthusiasm towards work, professional and worked damn hard. Came across some hurdles but he carried on regardless and the end result shows! He’s re built our wet room from scratch! Ripped it all out, re tanked it, set a new slope in for drainage and re tiled the entire room. Before it was only tiled in the shower area and was flooring in the other half. He is also very trustworthy. I gave him a key and he let him self in and out most days . Would recommend to anyone"
"We had Kevin & his colleague to tile our kitchen flooring. We are absolutely delighted with the work. Very conscientious professionals whose work is fabulous from start to finish. There attention to detail was second to none. We would definitely use Young Tiling in the future & will be recommending them to family & friends. Thanks guys for an amazing job, we love the floor"
​"Kevin worked on numerous jobs on our Georgian Building Renovation Project, including bathrooms, kitchens, hallways and outside areas. He did a great job on all of them, and he's a nice guy to work with"
​"Our old kitchen tiles were in need of replacement so we called Youngs tiling who we're recommended by a friend. 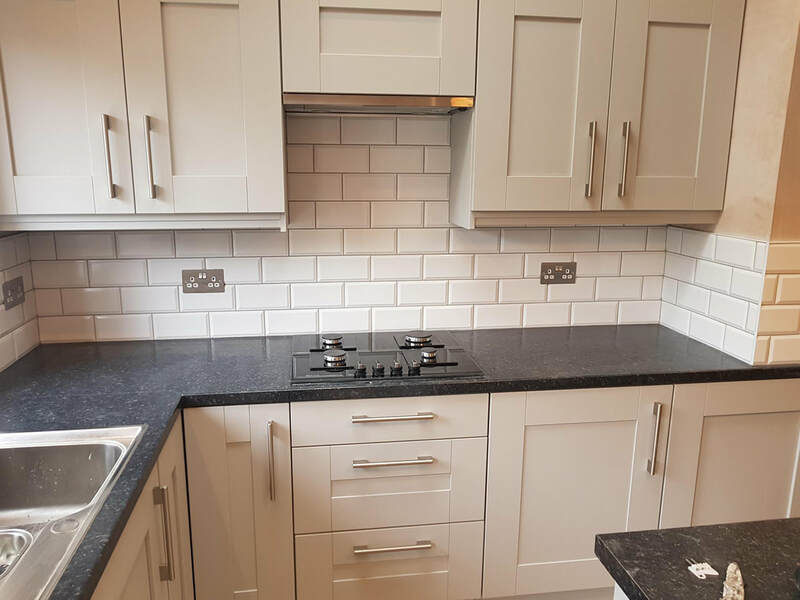 They gave us the cheapest quote and the end finish is amazing"
"Just want to say a massive thank to Kevin at Youngs tiling for tiling our new bathroom. Looks absolutely stunning Kev. 5 stars We cannot recommend highly enough!"